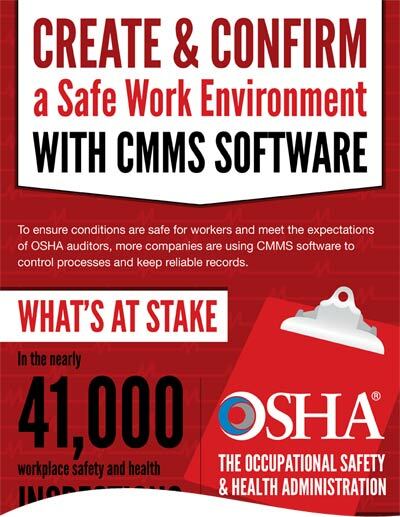 Your CMMS should be an investment that pays off over time. 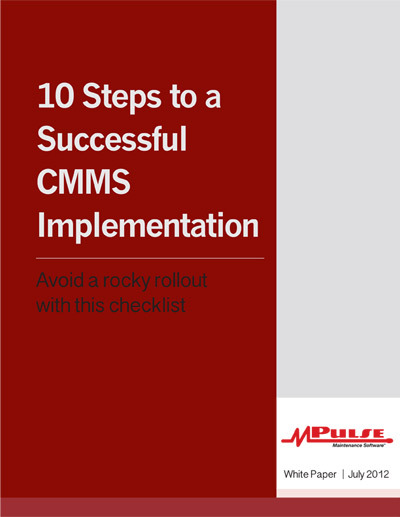 You may already know many ways a CMMS saves time and money: tracking parts inventory, reducing errors, and keeping production lines running and facilities open. But there’s an aspect of asset management often left unaddressed when buying a CMMS. It’s called LifeCycle Analysis (LCA). 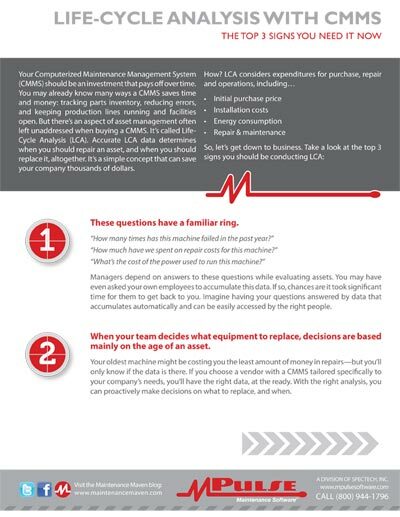 Accurate LCA data determines when you should repair an asset, and when you should replace it, altogether. It’s a simple concept that can save your company thousands of dollars. How? 1. These questions have a familiar ring. Managers depend on answers to these questions while evaluating assets. You may have even asked your own employees to accumulate this data. If so, chances are it took significant time for them to get back to you. Imagine having your questions answered by data that accumulates automatically and can be easily accessed by the right people. 2. When your team decides what equipment to replace, decisions are based mainly on the age of an asset. Your oldest machine might be costing you the least amount of money in repairs—but you’ll only know if the data is there. If you choose a vendor with a CMMS tailored specifically to your company’s needs, you’ll have the right data, at the ready. 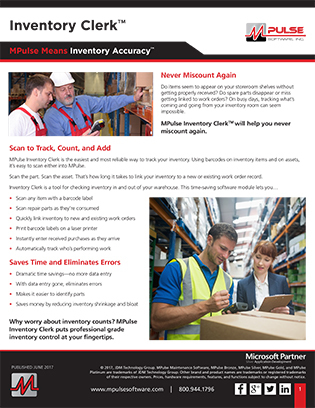 With the right analysis, you can proactively make decisions on what to replace, and when. 3. It seems the machines you saved money buying are really costing you now. There are great deals to be had on used equipment—and sometimes they pay off. On the other hand, it can be a challenge to gauge the longevity of a piece of machinery that’s purchased used. Outdated machinery can easily cost more than it’s worth. To know when it’s costing your company, you’ve got to see the numbers. LCA protects your company from replacing old machinery that’s still valuable, and from pouring money into repairing a machine that just isn’t running. Curious about how much money LCA can save your company?